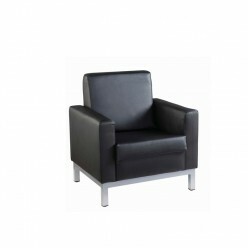 Leather suite available as an armchair, or 2 and 3 seater sofas. Matching coffee table. The Allonara range features a leather suite available as an armchair, or 2 and 3 seater sofas, providing a stylish look in any reception or breakout area.